← Refugees are Welcome – Towards a Progressive Refugee Policy! 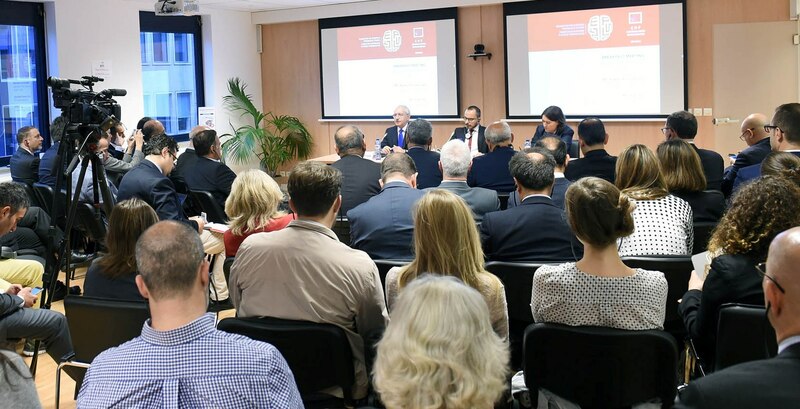 CHP President Kemal Kılıçdaroğlu made a five-day European tour during which he met European officials and Turkish citizens in 10 cities in six different EU countries. 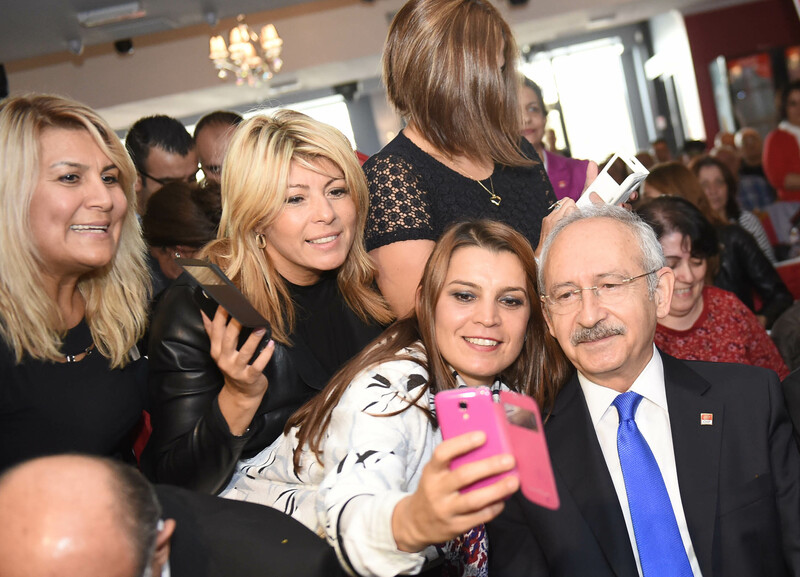 Kılıçdaroğlu kick-started his tour of Europe in the Swiss capital Bern, where he met with Turkish citizens. In Strasbourg Kılıçdaroğlu met with Thorbjorn Jagland, the secretary general of the Council of Europe (CoE), and Nils Muiznieks, the CoE’s commissioner for human rights. 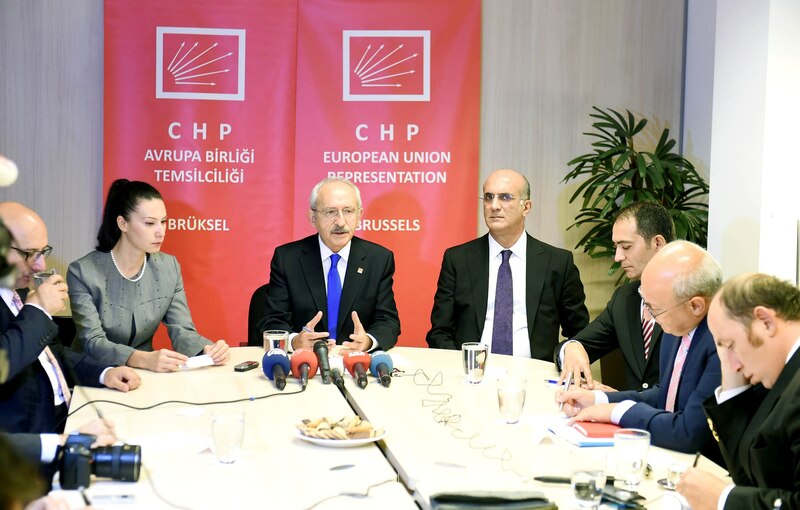 In Brussels, the CHP leader delivered a speech at the Foundation for European Progressive Studies (FEPS) and conducted talks with the European Parliament President Martin Schulz, President of the Greens-European Free Alliance at the European Parliament, Rebecca Harms European and Parliament’s rapporteur for Turkey, Kati Piri, all on September 24. CHP Vice-President Tekin Bingöl, MP Utku Çakırözer, MP Cemal Okan Yüksel, CHP EU Representative Kader Sevinç and advisers Fatih Gürsul and Okan Konuralp were part of Mr Kılıçdaroğlu’s delegation. 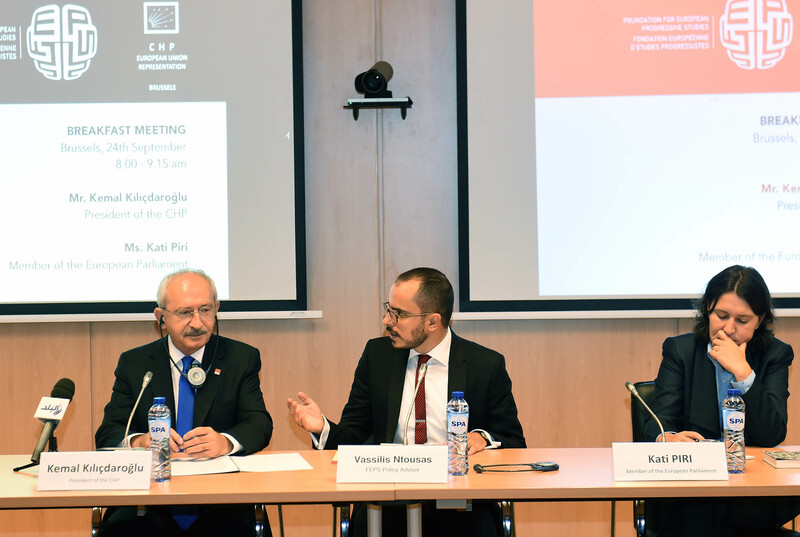 In a conference organised by the Foundation of European Progressive Studies (FEPS) and CHP European Union Representation, Kemal Kılıçdaroğlu spoke about the current challenges facing Turkish politics, as well as the EU response to the refugee crisis. 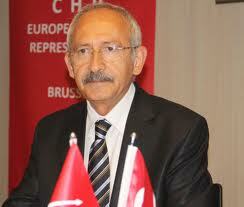 Kemal Kılıçdaroğlu said that the EU candidate needs a coalition government to tackle the fragile situation in the country. Referring to the snap election due to take place next month, Kılıçdaroğlu expressed doubts over the motives of the Turkish president, Recep Tayyip Erdoğan. Coalition negotiations between the AKP and the opposition parties reached a deadlock, and as a result, Erdoğan called a snap election . “What’s the reason behind these elections? Does the Justice and Development Party (AKP) want to be a single party in the government? Is this a democratic approach? That’s the question,” he said Kılıçdaroğlu also noted that Turkey, despite not having a compromise culture [in domestic politics], needed to have a coalition government, as such governments “brought the biggest changes in Turkey”. Referring to the unfolding refugee crisis, the Turkish official blamed the EU for ignoring the problem in Turkey. “The West turned a blind eye […] when 2.5 million refugees were in Turkey the EU didn’t say anything. When these refugees crossed the borders, our EU friends asked what’s happening in Turkey,” he noted.“Everyone applauded Turkey, but when these refugees reached the EU, then the West wondered why they were fleeing their countries,” he added. The CHP head said Ankara had done everything it could do by embracing two million Syrian refugees, but stressed that “now it’s a problem for Europe”. He also emphasized the fact that all the parties in the country were trying not to pit Turkish society against Syrian refugees. “The EU needs to make quick decisions and it should be more active, end the conflict in Syria and in Iraq,” he said, adding that the borders with Syria are not controllable, and Turkey could not turn the refugees back. 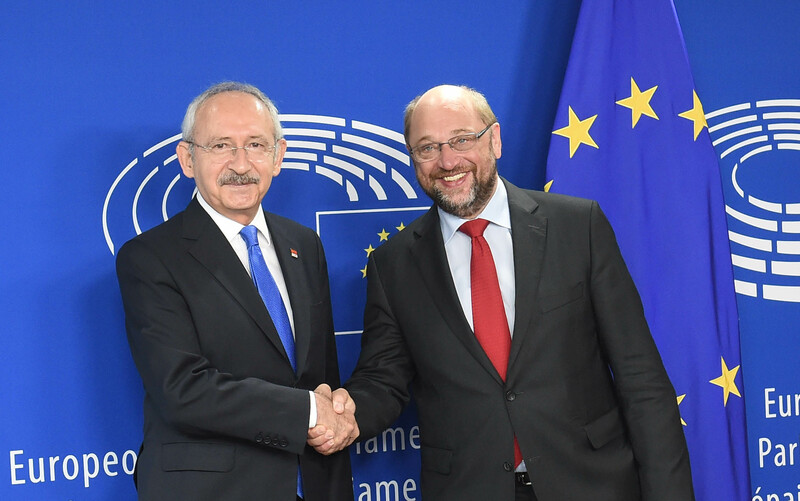 Regarding the 1 billion euros provided by the EU to Turkey to tackle the refugee crisis, Kılıçdaroğlu said that this money should have been given before reaching that situation. Asked what the root of the current refugee crisis was, he said that the problem began after the American intervention in Iraq in 2003. Turkey’s Kurdish problem cannot be solved solely by military means, but with consensus and brotherhood. The EU is concerned about poll security, media freedom, migrants, and terrorist acts in Turkey. They expressed that they are concerned that terrorism has gradually increased, especially since the June 7 election, causing a loss of life and property and affecting poll security. I told the EU officials that the outlawed PKK- which has put an end to the peace process launched over two years ago to solve the three-decade-long Kurdish problem by launching attacks on Turkish security forces since July – is an armed terrorist organization that should lay down arms without any preconditions. The current environment of terror in Turkey served some people, without openly defining who, while also adding that an end to terrorism would lead to the solution of many other problems in the country through negotiations… Top EU officials recognized that pressure on the Turkish media had increased, which was a critical situation for a country that officially remains an EU accession country. Turkey’s EU membership process has stagnated in recent years due to Turkey’s lack of reform progress and political blocks placed within the EU itself. The European Union ought to be successful in both reforming itself to become a more efficient political system and in engaging Turkey again in democratic and economic reforms in view of EU membership. This is a common European interest for all the European countries including Turkey. Kılıçdaroğlu at the meeting of the CHP Union in Belgium. Reblogged this on CHP EU Representation – Brussels.